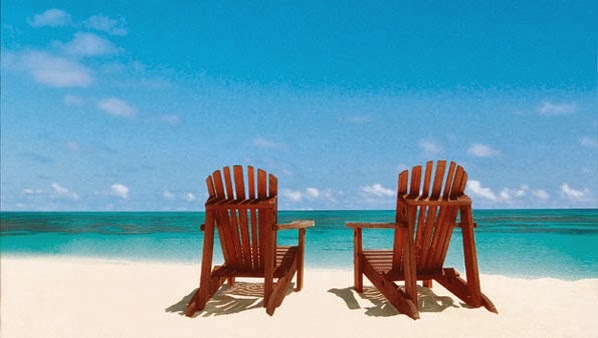 Rediscover romance by stealing away to Myrtle Beach and the greater Grand Strand. 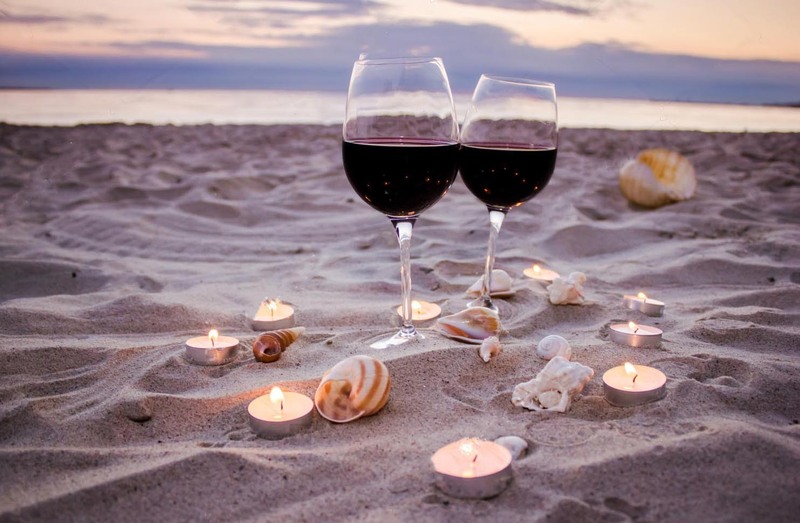 The beach is a natural choice for romantic getaways. Everything is in place and at the ready for starry-eyed fun and making memories that will last a lifetime. In fact, there's far more to do than time to do it all. Long walks on Myrtle Beach's soft shoreline is an obvious pastime. Sunrises are even more spectacular when shared. During the day you can comb miles of beach for shells or let the sound of rolling waves lull you to sleep at the edge of a dune. And when the sun goes down, hand-in-hand strolls offer up soft breezes and views of moonlight dancing on the incoming surf; if you're especially lucky, you'll catch the Carolina moon in all its glory.. There's something wonderfully dreamy about conversations that unfold at the water's edge. Couples get lost in the tranquility – and passion blooms. Away from the beach there are opportunities for all sorts of activities that add spice to love and the deep friendship it implies. Of course, water always takes center stage to create backdrops that are naturally conducive to romantic escapes. There are boat tours of every shape and size where you can soak in beautiful views and whisper sweet nothings in your lover's ear. A parasailing adventure for two is nothing short of unforgettable. Kayaking is an especially fun way to spend an afternoon. If maneuvering the waves intimidates, the sixty-mile stretch of Grand Strand offers up a delightful tangle of creeks and marsh and river to explore. It's easy even for beginners, and a number of local outfitters offer guided tours! Renting a jet ski offers a hearty dose of adrenaline that will have you laughing like a kid again – and laughter adds sizzle to any relationship. Romantic dining is easy as can be. In fact, there are more than 1800 restaurants to choose from – many with beautiful views. Whether you and yours are in the mood for white-clothed tables and candlelight or a more casual experience, there's nothing more romantic than a table for two. Naturally, seafood is frequently the primary fare but if you're craving something more exotic, eateries of every ethnicity are within an easy drive. When dinner's done, dance the night away at one of the Grand Strand's many nightclubs – some are high energy; others are more relaxed. Many nightspots feature local, live bands – especially when the weather is warm. You might also opt to take in a live theatre performance; they've become a mainstay of the Grand Strand vacation experience. Odds are good there's a live concert somewhere close at hand; check the schedule at House of Blues. 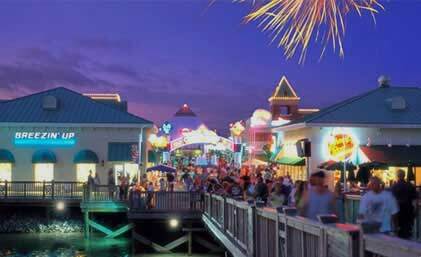 If you like to shop, North Myrtle Beach, Myrtle Beach and the greater Grand Strand delivers the gamut of options from outlet malls and traditional malls, as well as numerous unique destinations that marry nightlife, entertainment, dining and shopping alternatives. Barefoot Landing and Broadway at the Beach are among the best known. Big lakes serve as centerpieces for both complexes; that makes for pretty boardwalks and lots of bird life. Peddle on a bike built for two, or hike the trails at one of the greater Grand Strand's state parks and attractions like the world famous Brookgreen Gardens. In Myrtle Beach there's a sea aquarium, a giant oceanfront ferris wheel, a fabulous oceanfront boardwalk, and so much more. Along Ocean Boulevard – which parallels the Boardwalk – there are loads of options for acting young and carefree with arcade games and such. There's an award-winning winery, La Belle Amie, located in Little River. They frequently host concerts and other special events. If you head south toward Pawleys Island and Georgetown (it's less than an hour's drive! ), there are museums, old churches and plantation homes, historic attractions, more shopping and dining and a Historic District that's earned Georgetown the nickname "little Charleston." 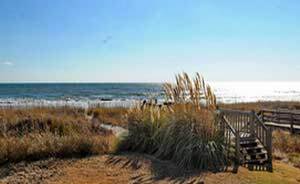 Myrtle Beach, North Myrtle Beach and the larger Grand Strand walks a fascinating fine line between leisure and luxury, and almost everything you do together will have romantic overtones. Call Elliott Realty and chose an accommodation as lavish or as understated as you choose. Many have private amenities like swimming pools and game rooms and wide-screen televisions. There's simply no better place to reconnect with your sweetie. Treat yourself and the one you love to a romantic beach getaway and create memories you'll cherish forever. Ready to start planning your romantic escape? Lets you save your favorite homes and access exclusive online information! Sign Up to save your favorite homes and invite others to review your selections. View upcoming vacation details, check your balance, and view payment statuses. Enjoy special discounts, freebies & other savings from participating area businesses! Browse exclusive homes & condominiums in our free 2019 Vacation Guide! © 1959 - 2019 Elliott Beach Rentals. All Rights Reserved. Website designed and developed by Visual Data Systems, Inc.
8:30 a.m. til 10:00 p.m.